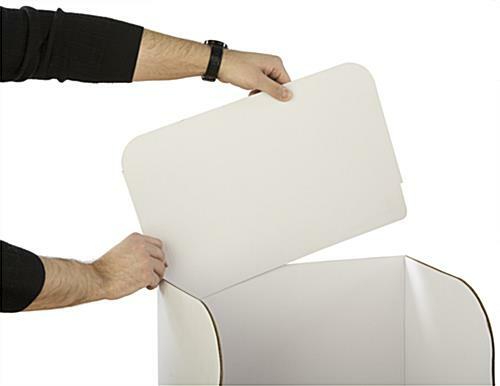 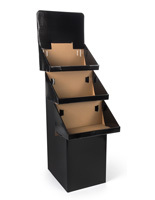 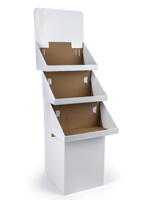 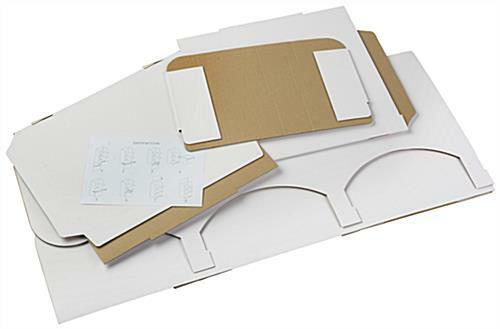 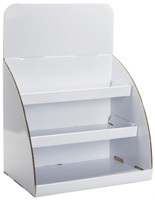 This cardboard floor shelf stand is a 55" tall fold-up fixture that is ideal for either in-store or event use. 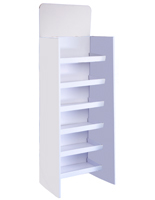 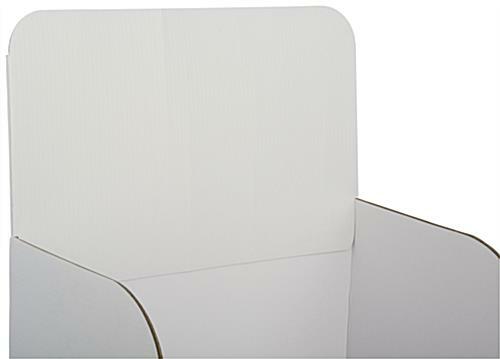 Each white corrugated store display fixture features three 20" tall shelves that are 15" deep. 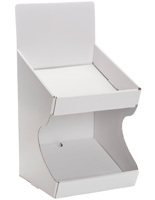 The roomy and lightweight floor shelf stand is an economical alternative to fixed endcaps or POP fixtures. 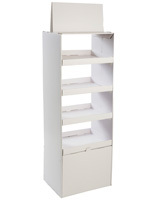 The portable rack assembles easily and can be used with or without the included header. 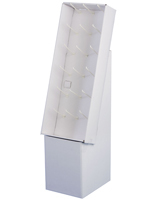 This point of purchase freestanding shelf stand is a great choice for retail displays in stores, at trade shows or at off site events. 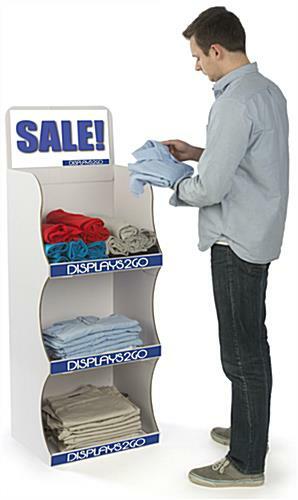 The roomy racks can be moved easily to take advantage of foot traffic in any location. 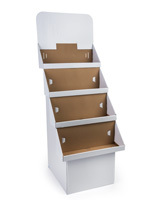 20.0" x 55.0" x 15.0"
19.5" x 2.0" x 15.0"